Incorporating the Linear look into your design ensures that you create a kitchen that is individual to you and the needs of your family. Using the nine key design principles below, you can achieve the Linear look in your home. 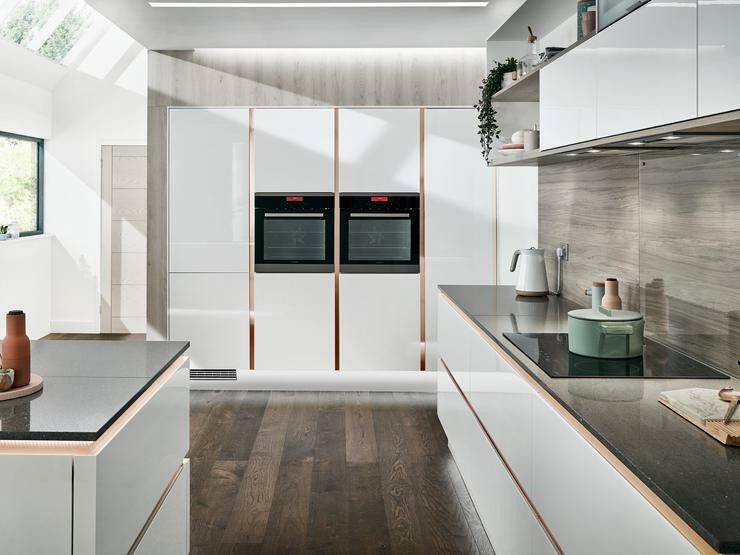 Create vertical lines using banks of tower cabinets, which will provide lots of valuable storage and add height to your room – great for small kitchens. Enhance the look with decorative profiles or smart lighting. 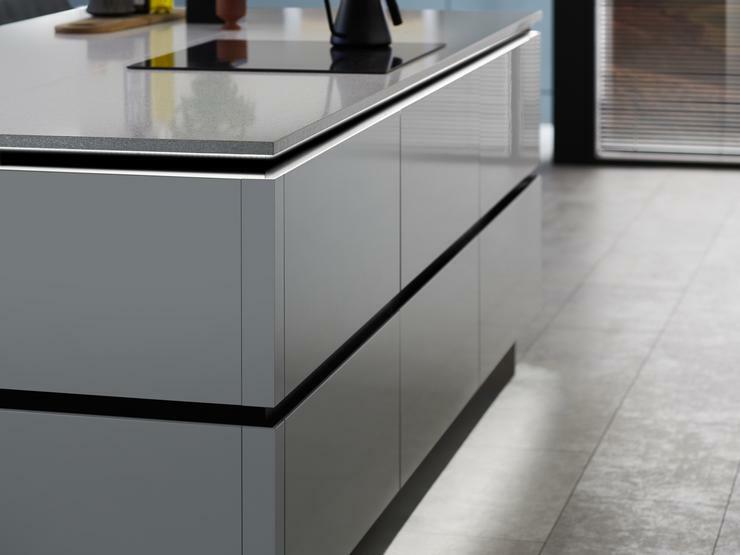 By far the most important element in creating the Linear style, horizontal lines can be added using runs of drawers and doubled up half-height cabinets. 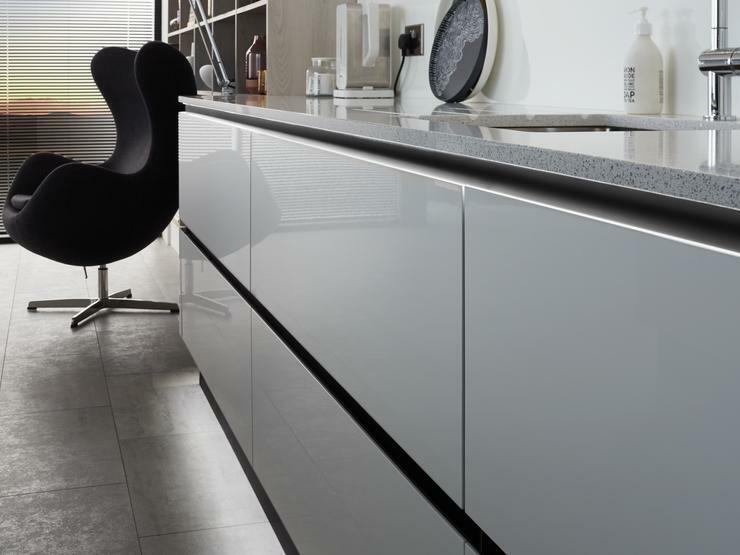 This can be accentuated with thin profile worktops. Corner posts can be used to create uninterrupted lines that blend around the end of a bank of cabinets, drawers or island. They also add to a modern, floating effect in a kitchen. Within the Linear look, plinths and profiles are used to accentuate sight lines and can also be used to create a floating look. 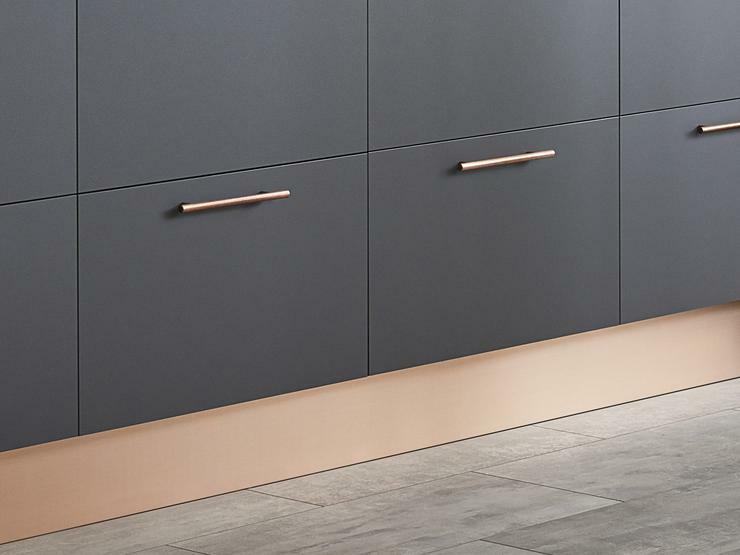 Within our range, you will find metallic, copper, brass, aluminum and new on-trend matt black finishes. 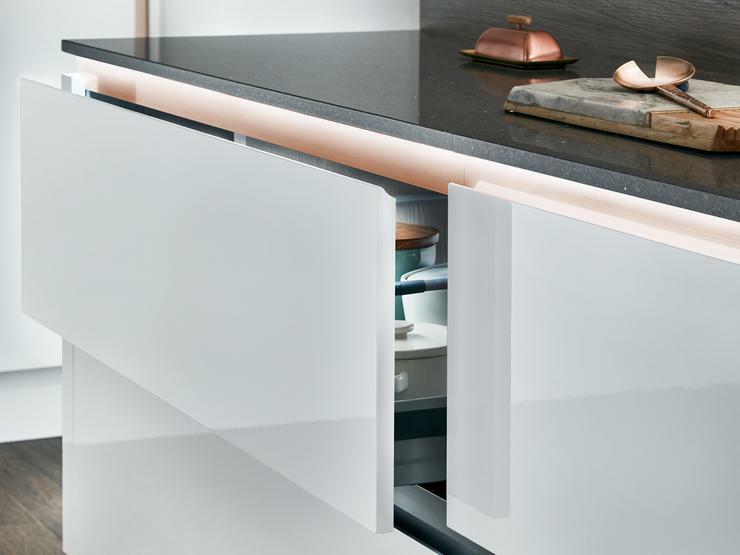 Maximise storage for all your everyday essentials by choosing the right cabinets for your linear kitchen. 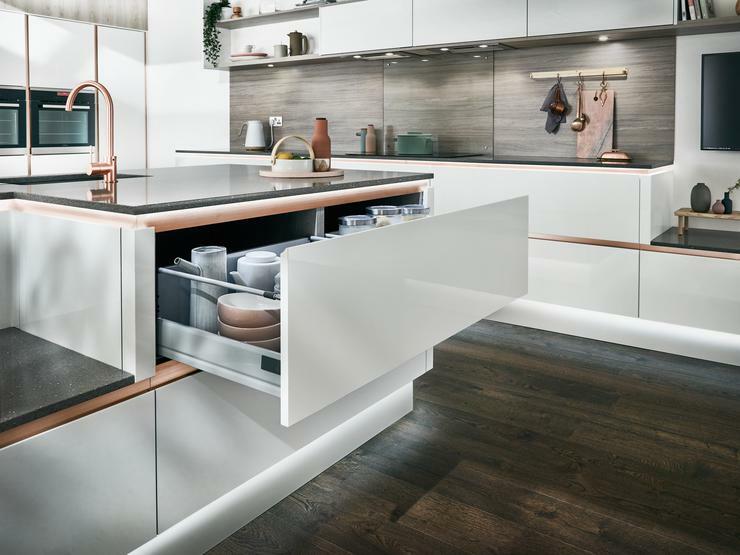 Doubled-up, wide drawers will create the signature, horizontal lines of the Linear look whilst offering clever storage for stowing away all your pots, pans and crockery. 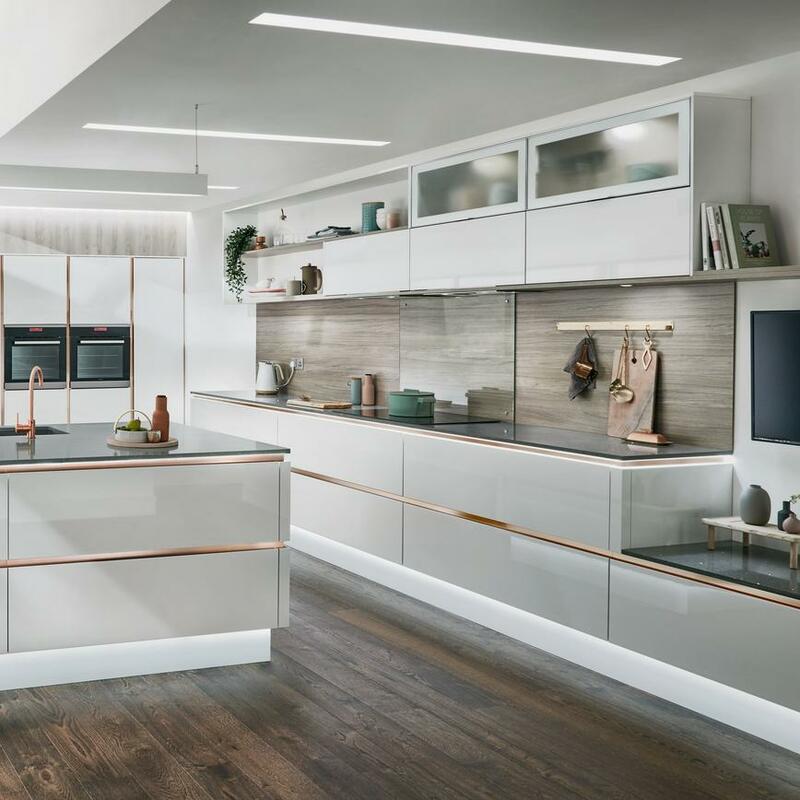 Mix glazed and solid half-height wall units with open shelving to make your kitchen feel less crowded and to add valuable storage for your favourite accessories. 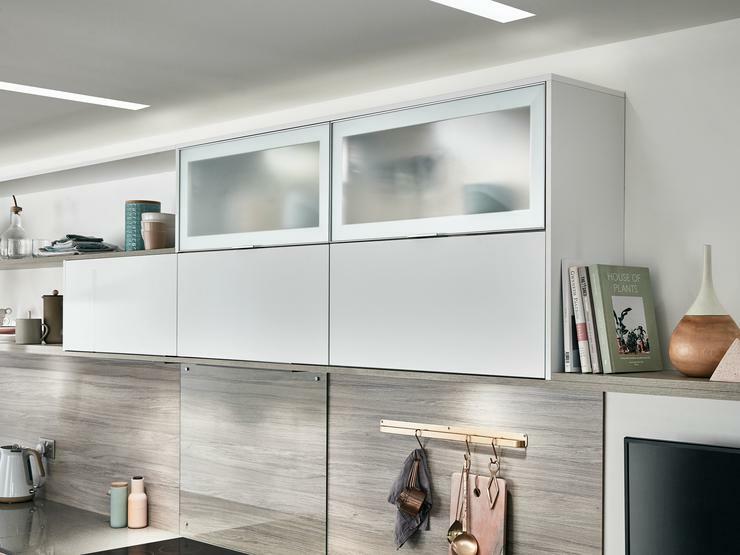 Complete the Linear look with lighting and handles to add the finishing touches to your design. 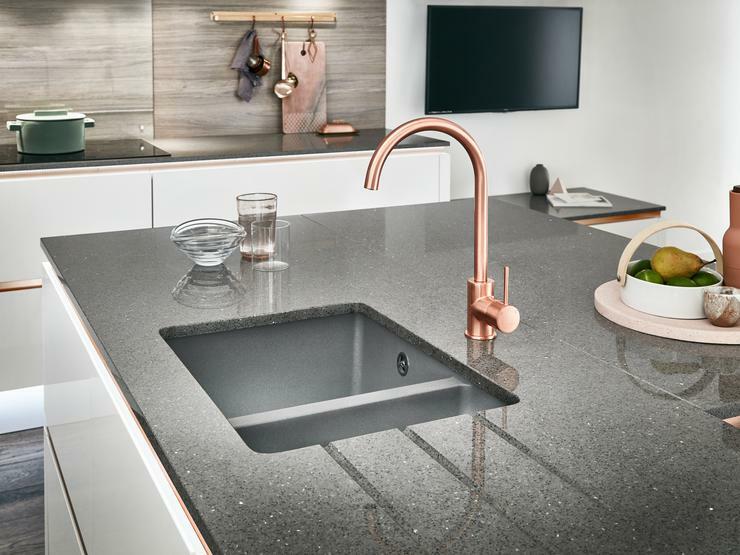 Choose a thin solid surface worktop like granite or quartz, or a 22mm laminate, to create a minimalist design which highlights handleless features. 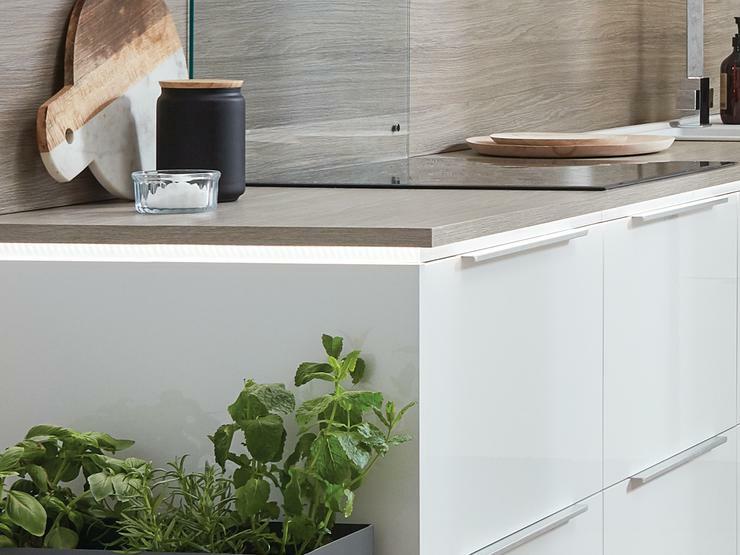 Use LED strip lighting underneath your worktop to create ambiance in your space and to highlight the vertical and horizontal design features. Go handle-less with Balham, or opt for an integrated handle Clerkenwell for your linear design. You can also use slim line, trim style handles with other kitchen styles. 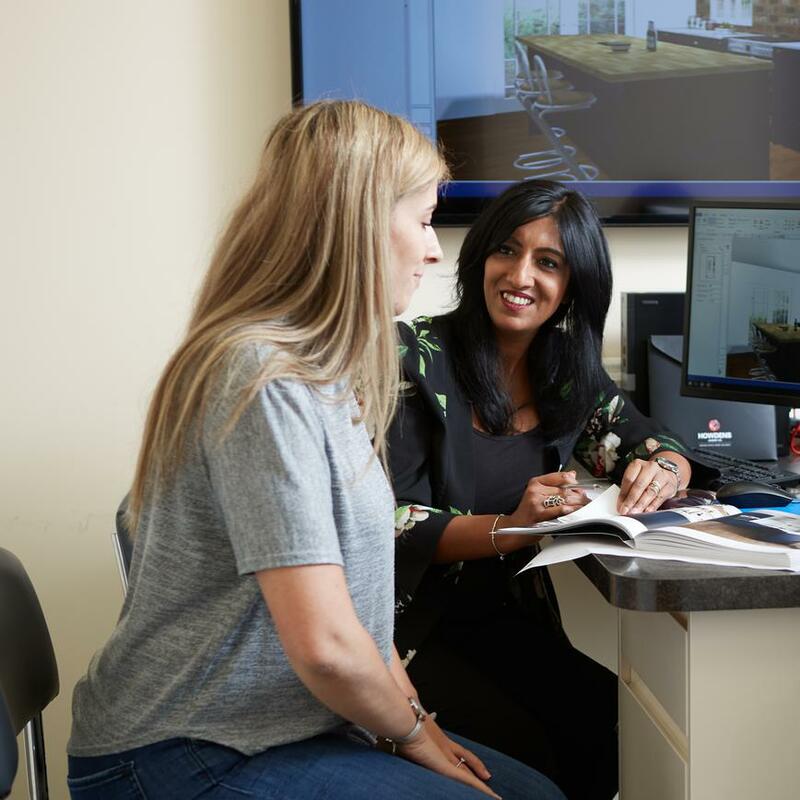 From a home survey to a video walk-through of your new kitchen, our free design service can turn your plans into a reality. Trust our experienced designers to guide you through every step.